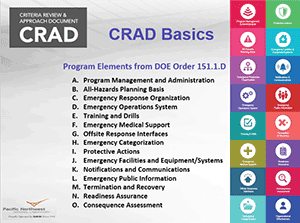 A PNNL project team led by Eva Mart is developing a new DOE Standard, Emergency Management Program Administration: Criteria Review and Approach Document for Risk-Informed and Performance-Based Assessments. 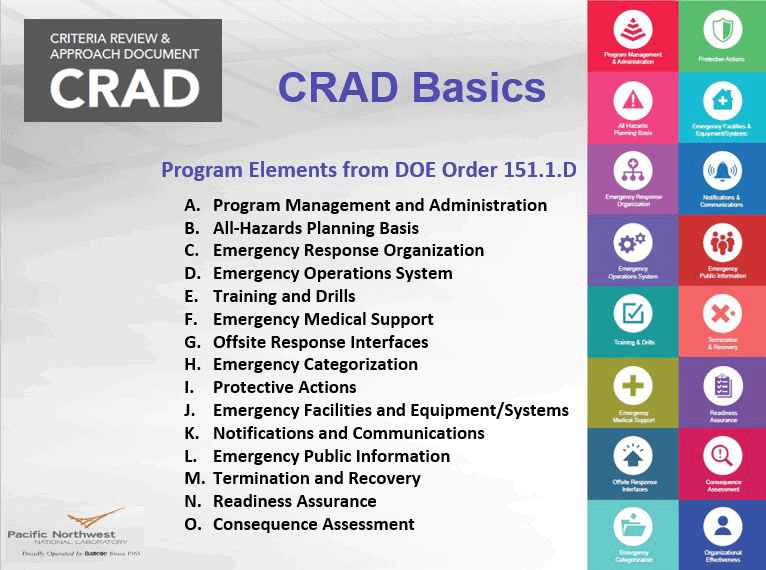 The Standard’s objectives are to implement an enhanced and consistent process for assessing DOE emergency management programs across the DOE complex and to directly address the commitment to develop and implement a risk-informed and performance-based administration and oversight tool for DOE emergency management programs. As explained in the DOE Implementation Plan for Defense Nuclear Facilities Safety Board Recommendation 2014-1, the benefits of a risk-informed and performance-based approach are that it prioritizes program areas that are most important in protecting human health and safety and that it helps direct the efficient and cost-effective targeting of emergency management resources.